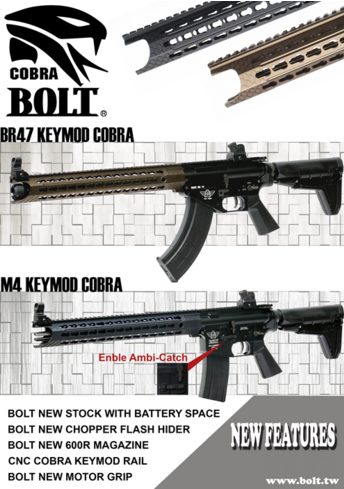 BOLT’s first new release in 2016 ~ KEYMOD COBRA ~ is available!! 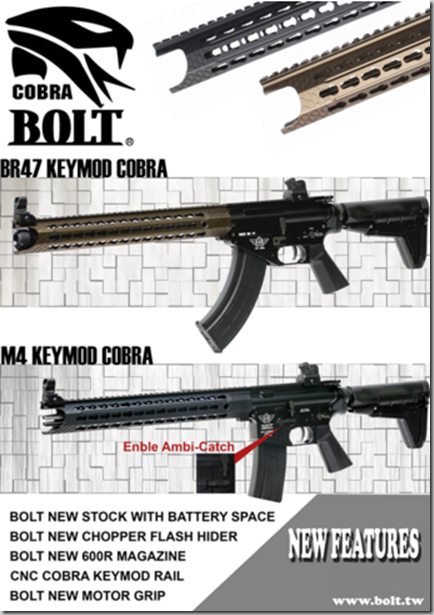 - NEW STOCK (with battery space) & NEW MOTOR GRIP. Please don’t be hesitated to ask us for any inquiries, Thanks!